Obituary for Beverly Y. Adley | Dimon Funeral Home and Cremation Services, Inc.
Beverly Y. Adley, 79, of Williamstown died suddenly Tuesday, December 4th at the Harrisburg Hospital. Born in Lykens, January 30, 1939, a daughter of the late William and Pauline Sponic Richards. Beverly was of the Protestant Faith; she was a social member of the Williamstown American Legion and a member of the Lykens Senior Citizens. 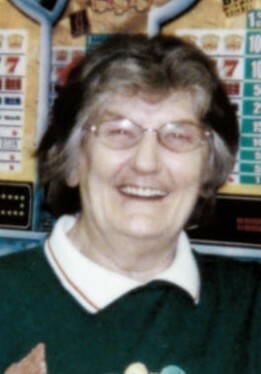 She enjoyed playing bingo and watching wrestling. Her greatest joys were spending time with her family and friends. She was preceded in death by her husband Royal Adley, 2004; infant son, George and a brother Bud. Surviving are her children, Pamela Deibert, Mississippi; Nancy Deibert Williamstown, Cathy Deibert, Williamstown; David Adley, Williamstown and James Adley, Hegins; sisters, Betty Ann Lambert, York Springs; Kay Free, Valley View; Sherri Trutt, Middletown; Terri Horne, Florida; Debbie Fidler, Pine Grove; brother Rodney Snyder, Lykens. Nieces and Nephews.